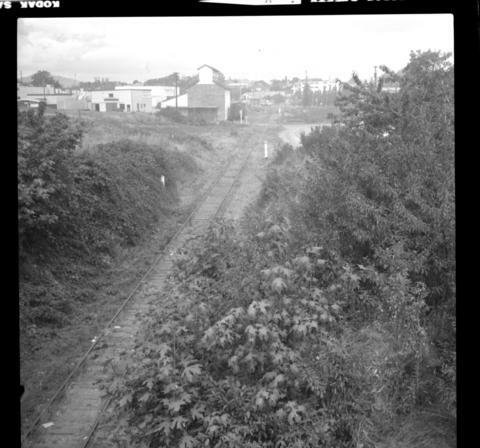 Photograph depicts the former line from the CNR yards in downtown Victoria. Taken from Boleskine Road overbridge, looking north. Personal or academic use of materials is welcomed under the standard fair use and educational use clauses of Canadian Copyright Law. Commercial use is, however, forbidden without the express permission of the copyright holder. For information on obtaining written permission from the copyright holder, please contact the Northern BCArchives and Special Collections.